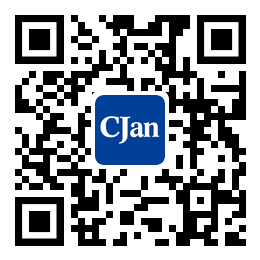 ﻿ The Differences Between Silicone And PVC - CJan Fluid Technology Co., Ltd.
First of all, silicone belongs to rubber material, while PVC belongs to plastic material. The main material of PVC hose is polyvinyl chloride, while that of silicone pipe is silicon dioxide. 1. Through the extrusion forming of thermal injection molding machine, PVC hose is made out of PVC resin with the coordination of stabilizer and lubricant. Its main performances include: electrical insulation; good chemical stability; self-extinguishing; low water absorption; easy to bond and high temperature resistance ( about 40 °). It is mainly used in industrial gases and liquid transportation, household sewer pipes, water pipes and so on. The environmental issue is that its main auxiliaries like plasticizer and antioxidant are toxic. The plasticizer used in daily PVC plastic is mainly dibutyl terephthalate and dioctyl phthalate which are all toxic chemicals. 2. As for silicone pipe, due to the good chemical stability, silicone material cannot react with any chemical substance except alkali and hydrofluoric acid. It has good chemical property and great electrical insulation property. It is not easy to age with good weather resistance. Its material can keep soft in a temperature ranging from 330 degrees to -40 degrees. It is a kind of environmentally friendly non-toxic material that is also colorless and odorless. It is a good choice to use silicone material to produce pipes for daily use. It is mainly used in household appliances, medical industry, industrial industry, automotive industry and so on. As a silicone hose manufacturer, Cunjian Company is specialized in all kinds of hose analysis and research work. It initiated the top combination technology of "light, color, heat, quality, element and chemistry" in the industry. With the help of R & D engineers' rich industry experiences and the powerful instrument platform, the company can provide customers with integrated technical services, such as product development, imitation production, component analysis, formulation analysis, structural confirmation, quality control, industrial diagnosis, instrument testing and method validation.